Almost five weeks have passed since Saudi Arabia, its Gulf allies, and Egypt announced the start of a diplomatic boycott against Qatar—a fellow Arab monarchy which, the boycotters contend, encourages sectarianism in the Middle East and sponsors terrorist organizations. Doha has refused to comply with KSA and friends’ demands that it shut down renowned news outlet Al-Jazeera, end the construction of a Turkish military base inside Qatar, and cut off ties with Hezbollah and terrorist organizations. The whole list of demands includes 13 points, each one bent on curbing the Qatari diplomatic initiatives that contradict the Saudi Arabian foreign policy agenda. 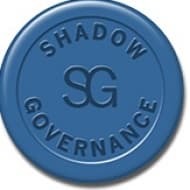 Risk consultancy Shadow Governance talks to OilPrice about the political players driving the landmark rift between GCC monarchies that has shaken Middle Eastern alliances without causing volatility in oil and natural gas prices. 1. Who are the most influential individuals in the GCC dispute? Generally, the heads of government in Saudi, the UAE, and Egypt are most influential in driving the current dispute. Mohammed bin Zayed is staunchly against the presence of Islamic groups and Minister or State Anwar Gargash, a key Emirati power player with regards to foreign policy issues, has also been a vocal critic of Qatar since the crisis unfolded. Adel Al Jubair, the Saudi foreign minister, is another figurehead of Saudi condemnation of Qatar. Jubair is likely to have strong backing from Crown Prince Mohamed bin Salman, who is reportedly on very good terms with Mohammed bin Zayed, and this UAE-Saudi nexus is the real engine driving forward confrontation vis-à-vis Qatar. The influence of Abdel Fattah El Sisi is also notable here, as the Egyptian President is closely aligned with the Gulf monarchies leading the boycott of Qatar. He has his own networks in Saudi from time spent as a military attaché stationed in Riyadh, and Saudi has proven an ardent backer of his government over what has been a difficult few years, especially in regard to the power struggle against the Muslim Brotherhood. Related: Is Russia Running Out Of Patience With OPEC? 2. What are the key Gulf political moves that require monitoring? Qatar’s next move in response to the diplomatic attack is perhaps most worth watching going forward. On one hand, it may begin to slowly comply with GCC demands in certain areas, as it did during the previous crisis in 2014, which lasted for nine months. On the other hand, it may instead play the long game this time and resist the demands of the Saudi-led bloc, which most likely entails growing closer to Iran and Turkey. Equally, it will be interesting to see whether the GCC countries move the goal posts, so to speak, in terms of expectations from Qatar. It is unlikely that the list of 13 demands these countries issued on the 23rd of June were meant to be met, and is indicative of the fact that GCC are not looking for a quick rapprochement with Qatar. Should they soften or alter their stance, it will signal a readiness to de-escalate tensions with Qatar. 3. Is the GCC dispute about energy and if so, how will It impact global energy markets? First and foremost, this dispute centres on political divergence between Qatar on the one hand, and Saudi Arabia, the United Arab Emirates, Bahrain and Egypt on the other. Disagreement over energy policy, which in the case of Qatar pertains to gas, does not appear to be a driving factor behind the dispute and neither has it impacted the energy markets so far. That being said, given the UAE’s ownership of the Dolphin Gas Project, and Qatar’s reliance upon gas reserves to make up its budget, it is not unfathomable that power plays over energy assets may creep into the dispute. Should the outlook worsen, the disagreement may take on an energy dimension that could impact global energy markets, but this is still a long way away. In this sense, energy would be more of a victim of this dispute, as opposed to a driving factor of the crisis. 4. Does the GCC dispute change Saudi Arabia’s plans for the privatisation of Aramco? In short, no. The privatisation of Aramco is part of a wider strategy unfolding in Saudi aimed at diversifying the economy. As such, it is unlikely to be used as a bargaining chip, or a point that will come under threat as a result of diplomatic tensions with Qatar. The most damaging outcome for the IPO would be a situation where there is a choice between doing business with either Qatar or Saudi, which could be a major disincentive for some investors. Although the GCC crisis may pose some red flags to investors, and even knock confidence in certain sectors, Aramco’s listing is largely removed from these events so there are no indications that the IPO is under threat. 5. How does Turkey benefit from developing closer relations with Qatar and Iran? And how does this impact Ankara’s relations with Riyadh in light of the GCC dispute? Firstly, it is important to understand that President Erdogan portrays Turkish involvement in the crisis as part of Turkey’s role as a regional power. This highlights that Turkey is active in the region and that it is a “decisive” power in disputes, which in this case is legitimised by its military presence in Qatar. Obviously, this is the line taken in Ankara and projected to the AKP’s constituency at home. In any case, backing for Qatar should not necessarily be equated with direct confrontation vis-à-vis the GCC bloc. Turkey appears unlikely to challenge Saudi, and lose its commercial and political relations with the other GCC countries because of this crisis. The exception is Egypt, whereby Erdogan and Sisi have a series of bilateral disagreements that existed prior to this crisis. 6. Does Saudi Arabia’s targeting of Al-Jazeera pose a major significance in terms of Qatar’s relations with the other GCC countries and are all GCC countries on board? Al Jazeera Network is integral to the Saudi-led targeting of Qatar, primarily because it represents all that the bloc of four countries perceive to be ‘wrong’ with Doha’s foreign policy. It is the mouthpiece for an independent actor, which isn’t conforming to the unified policy line generally taken among the wider GCC states, with Kuwait and Oman traditionally taking a passive and back seat position. On a tangential note, the relative neutrality and less influential positions of the latter two is again apparent in this crisis, so it is inaccurate to say a unified GCC targeting of Qatar exists, but rather a Saudi-led faction which only makes up half of the GCC countries. 7. What is the prospect of an escalation in the GCC region, both militarily as well as in terms of the termination of bilateral trade relations? With reference to military confrontation, there is very little to suggest that any internal armed confrontation among GCC members will take place. The only military aspects to this crisis so far has been Turkey’s troop deployment to Qatar, which was not met with military confrontation by the GCC countries. Previous armed confrontations between GCC states, such as that over the land border between Qatar and Saudi in 1992, have also not led to larger scale conflicts – and neither is it supposed this it is in the interests of any GCC country at present. With respects to trade relations, the interdependency of GCC countries has become part of the fabric of the community since 1981. Commercial laws in the region often state that majority ownership of commercial entities, such as Public Joint Stock Companies (PJSC), must be local or GCC citizens. In this sense, the breaking of bilateral trade relations would be detrimental to all parties; and so, the motivation to harm each other, in a commercial sense, is likely to be lacking.